We just got back from a busy busy week in Norway. Lots of good stuff going down all round, with some beautiful fjords, mountains, sunsets and good people. There was some bad weather thrown in for good measure too, so the crew had luckily Jamie Nicholls on hand making cups of Yorkshire Tea. Halldor, Ethan and Silje getting a taste of the brew. There was some sketchy food places too, which got visited more than once. Pre match dinner right there. Kevin Backstrom did what he does best. The Obligatory shoot infront of a Fjord badly lit by a terrible camera guy. Ever wonder how the face of www.helgasons.com looks like? More beautiful than you thought possible right? We also got this guy straight off a surf trip and out shooting, epic to have Cyril along for the ride. We also had one of the legends of the game, David Doom, yes the David Doom, on the trip filming/motivating/hitting snow and more filming. We had digger to the stars Tom West in the house too. The last day we dropped in on a big BBQ with KB trying to be in charge, but the can in his right hand shows he wasnt in charge at all. 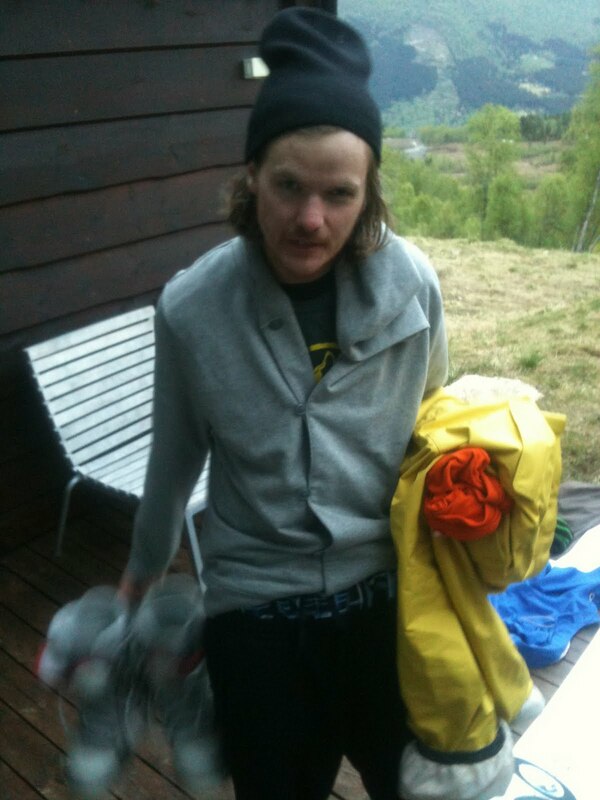 Frode was stoked the season is done. There was football kits for a kick about. Jamie. Take off the red bull helmet. They wont kill you for it. 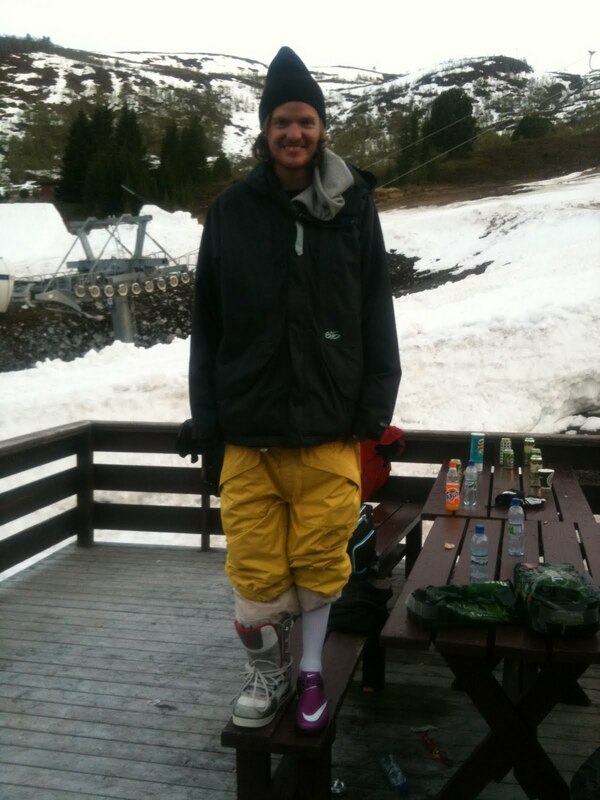 Johannes had to work out which would work best for filming, the snowboard boot or the Ronaldo pro model. Thank you all for a great, Norway is so beautiful if you havent been you have to visit!